As a kid, I went through several different obsessions. From 'Superman' and 'Batman' to the 'Teenage Mutant Ninja Turtles' and 'Darkwing Duck,' my childhood ebbed and flowed through continual phases of geek devotion -- complete with action figures, trading cards, comic books, video games and bed sheets. But with the notable exception of 'Star Wars,' no other franchise has managed to spark my imagination and incite such long-lasting adoration as Marvel's Uncanny X-Men. Like most kids who grew up during the 90s, my initial introduction to the mutant superheroes was through the Fox animated series, and from the moment my five-year old self first heard "Snikt!" blare from my TV, I was hooked. And now, a little over two decades later, with the release of 'X-Men: Days of Future Past,' I'm still glued to the screen… only this time it's in HD! Loosely based on writer Chris Claremont and artist John Byrne's acclaimed 1981 comic book arc, the story begins in a dystopian future where mutants are being hunted down by powerful robots called Sentinels. The X-Men as we know them from the first three films are in complete disarray, with surviving members forced into hiding. Desperate to save their world, Professor Charles Xavier (Patrick Stewart) hatches a plan to send Wolverine (Hugh Jackman) back in time, hoping to change the past in order reshape their post-apocalyptic present. Using Kitty Pryde's (Ellen Page) powers, Wolverine's consciousness is transported into his younger self in 1973. From there, the time-traveling mutant attempts to recruit a young Charles Xavier (James McAvoy) and Magneto (Michael Fassbender) so that they can work together to prevent the creation of the Sentinels. But history proves to be rather difficult to rewrite, and a new chain of events could create an even darker future. 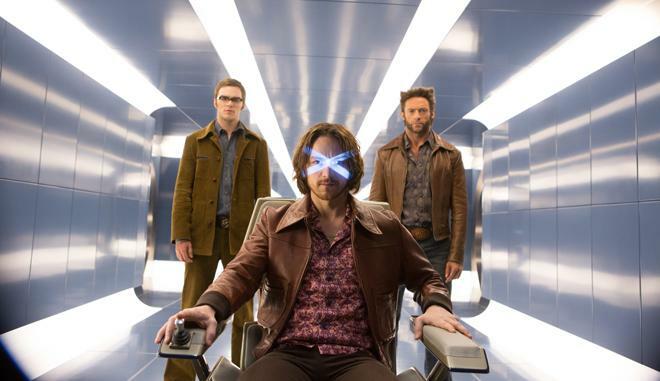 Brilliantly bridging the gap between the original 'X-Men' films and the new 'First Class' franchise, director Bryan Singer returns to the director's chair to offer fans the best of both worlds. From the get go, the writers do a solid job of establishing the film's particular brand of time travel logic, allowing us to segue between past and future throughout. With that said, the majority of the runtime actually takes place in 1973, putting most of the emphasis on the younger cast. And while Wolverine acts as our link between time periods, the filmmakers resist the urge to make Jackman the definitive star. Instead, this is an ensemble piece, allowing Magneto, Xavier, and Mystique (Jennifer Lawrence) to share the spotlight. In fact, it's the latter two who really get the meatiest arcs, and the entire plot ends up hinging on Lawrence's character. 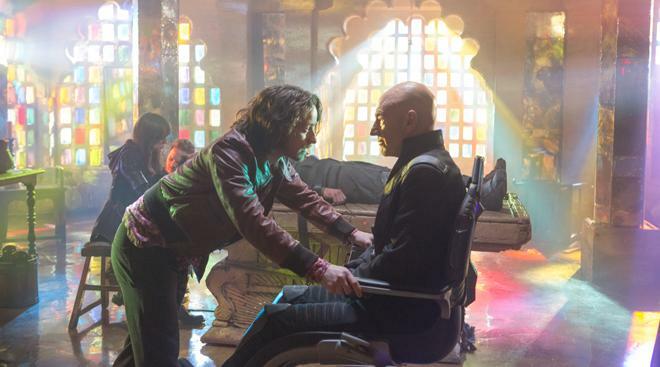 McAvoy continues to do great work as the more inexperienced (and decidedly less bald) Professor X. A far cry from the inspirational and confident leader he will one day become, the younger Xavier is a disillusioned shell of a man when we first meet him here, and watching him attempt to regain his sense of hope and purpose gives the film one its strongest emotional storylines. On the opposite end of the ideological spectrum, Michael Fassbender is simply perfect as Magneto, balancing the character's righteousness and ruthlessness with expert precision. Likewise, it's wonderful to see both Patrick Stewart and Ian McKellen back in action together, even if their screen time is fairly limited. And of course, it nearly goes without saying that Hugh Jackman is once again right at home as Wolverine. The man has been playing the character for nearly fifteen years now, and while most performers might show signs of getting bored with the role that made them famous, Jackman still seems as passionate and dedicated to Logan as ever. On the other hand, letting her blue-skin and sultry stunt work do most of the heavy lifting, Jennifer Lawrence isn't quite as effective as Mystique. I've never been particularly sold on her (or the writers') take on this younger version of the character, and while I'm a big fan of the actress in other films, here some of her line readings can come across as oddly flat. Still, I suppose any attempts at development are much better than the silent killer angle Rebecca Romijn was previously given to work with. Joining all of the returning cast members, is a slew of fresh faces in both the past and future. Unfortunately, most of these additions are little more than excuses to showcase certain mutant powers, and none of the new dystopian X-Men have any shred of personality or depth. Similarly, Peter Dinklage is a bit underutilized as Bolivar Trask, the man who invents the Sentinels -- but his 70s mustache alone is enough to warrant his screen time. Thankfully, impressive facial hair isn't the only memorable addition to 'Days of Future Past,' and Evan Peters' playful take on Quicksilver becomes one of the film's highlights. Brimming with smartass charm, the super-fast mutant practically steals the show, making his equally fast exit from the film feel a bit disappointing. But before he goes, we're treated to the movie's most spectacular set piece. During a prison break, the character uses his speed to take out a group of armed guards, leading to an incredibly clever and visually spectacular slow motion action sequence that is among my favorite of the year. While the remainder of the movie can't quite measure up to the kinetic fun of this scene, the rest of the runtime is filled with solid action as well, with some cool and brutal fight scenes set in the dystopian future that do a great job of highlighting the X-Men's powers. The climactic showdown against the Sentinels is also well staged, and Singer makes great use of the movie's time travel aspect by dramatically cross-cutting between both eras during the attack. In many ways, this is the 'X-Men' film that I've always dreamed of seeing since I was a kid. Taking inspiration from the comics while fully respecting the source material, Bryan Singer once again delivers an exciting, thoughtful, emotionally resonant, and well-crafted comic book movie. Yes, there are flaws, and if I think too hard about some of the continuity issues my head starts to hurt -- but then Wolverine unsheathes his claws and that iconic sound effect goes off, and suddenly I'm five years old again, and I'm probably sitting too close to the TV, but it doesn't matter because there are mutant superheroes on my screen, and they're traveling through time, and fighting robots. Though not technically a Director's Cut, Bryan Singer and Fox have now included an alternate extended version of the film that restores some previously cut material. The most substantial addition here involves a subplot that features Rogue (Anna Paquin) being held captive in the dystopian future. 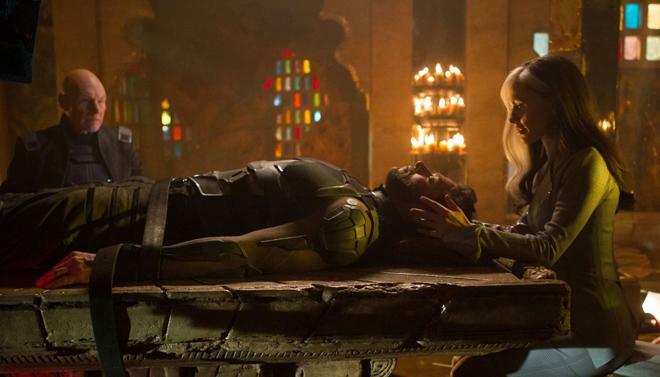 Likewise, there are more extra scenes inserted here and there, including an intimate moment between Beast and Mystique, a little more screentime for the new future X-Men like Blink and Bishop (yes, they actually have lines now! ), a couple of throwaway jokes and alternate dialogue, and a quick mid-credits scene. In all, there is a total of about seventeen minutes of new material. These restored scenes are all worthwhile on their own, adding a bit more development to the runtime (Hank and Raven's relationship felt especially neglected in the theatrical cut), and it's really great to see Ian McKellen's Magneto and Patrick Stewart's Profession X get to have one last mission together. With that said, these sequences don't substantially improve or alter the film, and they were originally cut for a reason, leading to some pacing issues. 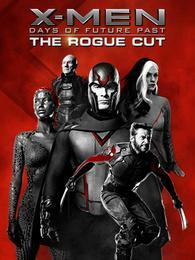 While the 'Rogue Cut' is a fantastic extra inclusion for fans, the theatrical edit still works best overall. 20th Century Fox brings 'X-Men: Days of Future Past - The Rogue Cut' to Blu-ray in a 2-Disc set that comes housed in a keepcase with a cardboard slipcover. Instructions for an iTunes/UltraViolet digital copy are included as well. After some logos, the screen transitions to a standard menu. Both the Theatrical Cut and the Rogue Cut are housed on disc one. Meanwhile, disc two contains the majority of the supplements. The packaging indicates that the release is region A coded. Primarily shot on Arri's Alexa line of digital cameras, this is an exceptional looking picture, offering great clarity and dimension. The digital source is mostly clean and pristine, but there are occasional spikes of grain-like noise in certain scenes and natural grain in a few 8mm and 16mm shots. The image offers a great sense of fine detail, highlighting every whisker on Wolverine's face and the picture carries a pleasing sense of depth. The future post-apocalyptic scenes feature an appropriately gloomy aesthetic with somber blues and greys. In contrast, the 1970s scenes offer a lot more pop and a slightly retro palette, playing up the time period. Whites are bright without clipping and blacks are deep and inky while maintaining good shadow delineation. While the majority of the presentation is free from any pesky digital artifacts, I did notice some very minor banding/compression in dark portions of the screen during the movie's opening scenes. Nicely detailed and free from any major technical issues, this is a very impressive transfer, bringing the X-Men, past and future, back to the screen in style. Spacious, nuanced, and bombastic when it needs to be, this is a powerful and enveloping mix. Dialogue is clear and crisp throughout, with no balance or technical issues to report. The soundstage is wide and full of both subtle and aggressive texture, spreading general ambiance and sci-fi effects around the room with natural imaging. The film's various action set pieces end up being the most impressive aspects of the audio, and the Sentinels and various mutant powers lead to some really cool sound design choices. Shifting portals, freezing ice, burning flames, blazing bullets, and Wolverine's trademark "Snikt!" all come through with commanding presence and directionality. Voices are also spread throughout the speakers when called for, including some particularly immersive moments involving Professor X and Quicksilver's powers. Dynamic range is wide and distortion free, and bass activity is deep and seamless, adding a powerful low frequency jolt to all of the action. Immersive and nicely layered, this is a terrific audio presentation, giving comic book fans a new demo worthy disc to show off their surround sound setup. Fox has provided a strong assortment of all-new supplements, including a great doc and two commentaries. With that said, outside of the second screen app (and truncated clips provided in it), none of the special features from the last release are included here. All of the extras are presented in 1080p with Dolby Digital 2.0 audio. Commentary by Bryan Singer and John Ottman (Rogue Cut Only) - The film's director and composer/editor sit down for this track on the alternate cut. The pair discuss their long lasting working relationship, last minute music replacements, and all of the new scenes and lines inserted throughout. Likewise, the filmmakers point out why the scenes were cut to begin with and how they went about reconfiguring the structure through editing and reshoots. Commentary by Bryan Singer and Simon Kinberg (Theatrical Cut Only) - The film's director and writer are included on this track. The commentary focuses on developing the story, working out the time travel rules, and various production trivia. Mutant VS. Machine (HD, 53 min) – Viewable in nine individual parts or all together, this is a behind-the-scenes documentary on the film's production with on-set footage and cast and crew interviews. Topics touched upon include developing the script, how they worked in both casts, using time travel, costumes, sets, cinematography, shooting in 3D, music, visual effects, and the cut Rogue subplot. Comprehensive and interesting, this is a great inclusion. X-Men Unguarded (HD, 30 min) – Here we get a fun roundtable interview with the director, writer, and several cast members. Though there's nothing too revelatory here, it is nice to see the group joke around and they all do seem to genuinely care about their place in the franchise. Gallery (HD) – Galleries for storyboards, costumes, and concept art are included. Fantastic Four Sneak Peek (HD, 2 min) – This is a brief and pretty useless behind-the-scenes featurette for the upcoming flick. 'X-Men: Days of Future Past' proves to be one of the best films in the franchise, brilliantly blending past and future into an epic story full of action and comic book thrills. Though the new 'Rogue Cut' has slight pacing concerns, this extended version features some cool new scenes that fans should enjoy. Like the previous disc, the video transfer and audio mix here are both fantastic, offering an immersive technical presentation. The new supplements are also strong, including two commentaries, but we do lose most of the special features from the last disc and there is no 3D option here. Still, with both cus of the film and a great making of doc, this is definietly the best 2D release to buy -- and it even serves as a solid double dip for fans who already own the last disc. Highly recommended.